FAX messages sending or receiving is a real-time process, in essence when the sending machine connects to the receiving machine they are working in harmony one sending at the same time the other receiving. 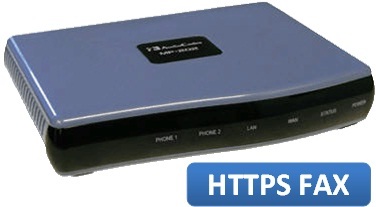 Interruption of this real-time transmission will result in the fax failing; traditional fax machines use an analog signal so when transmitting over the internet with a protocol like T.38, jitter and packet loss on the carrying data stream will in the majority of cases cause the fax to fail, also worthy of mentioning is the excessive use of bandwidth. Whereas voice it is more forgiving and can handle a few incidents of packet loss. On the other hand with a faxtransmission any data loss / jitter is going to effect a T.38 fax transmission on some level resulting in dropped faxes and frustrated end users. Think of it this way a fax starts off the call as analog. Then say the sending and receiving machines support T.38, the call starts as an analog call and theoretically, switches to T.38 upon detected as being a fax. But because of variants in fax-detection timings this transitional handshake does not always go well or even not at all. The other challenge is that VoIP calls use UDP a streaming protocol that does not have the attribute of packet loss correction and thus is susceptible to jitter. Technically to avoid this, T.38 made allowance for redundant packets to be sent.